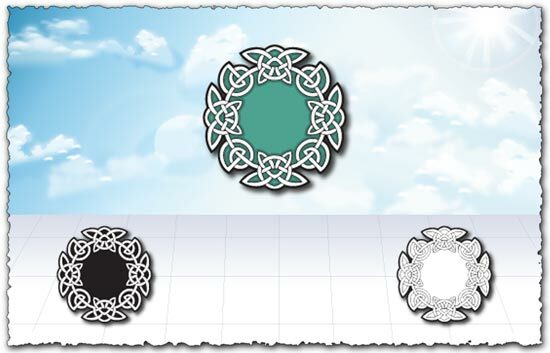 In green, black and white this islamic circle ornament design can be a great asset for your patterns and cliparts collection. All you have to do is download it in just a few easy steps and then you can use it as you like. Indeed, this islamic circle ornament vector comes without any obligation or license and you are free to modify it as you like. License: You can use Islamic circle ornament design for personal or educational purposes. This actually reminds me of Celtic art, with the intertwining motifs. Very well done.